For me, this list is the most important thing I write all year. While I enjoy all the various writing avenues I take, the “Top Albums” list is really the end-all-be-all. I’d be beating a dead horse if I discussed what a disappointing year 2016 has been, but instead, I want to focus on some of the great music released. Once again, I’ve compiled a list of some incredible albums that hail from a wide range of genres. Give the first 20 a read through and a listen, and I’m sure you’ll find something that strayed beyond your listening peripheral in 2016. This year didn’t quite live up to the high expectations I had back in January. Artists like Chance the Rapper, Frank Ocean, Jai Paul, Kanye West, PJ Harvey, Radiohead, and The Wrens didn’t make good on their promise for a new full-length album in 2015. Fortunately, others were there to pick up the slack and provide us with some great albums. 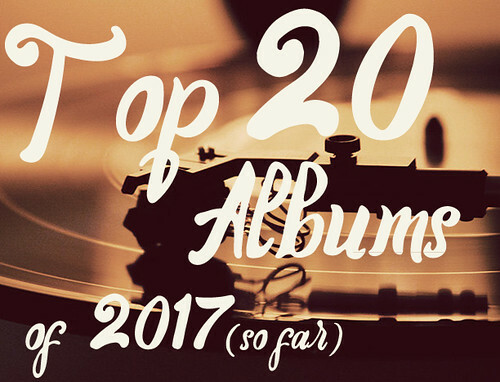 Below you will find this year’s edition of what I consider the top 40 albums of the year. You’ll find albums from varying genres and possibly a few albums that are new to you. In a time where you can look up any song on a streaming service and hear it instantaneously, I hold on tightly to a love for the album as a whole, a collection of songs that work off each other, building toward one major theme or mood. As you will see in the list below, I’m a bit obsessed with new music and the art form that is the album. I take great pride in this list and hope that you find something worth checking out by the end.